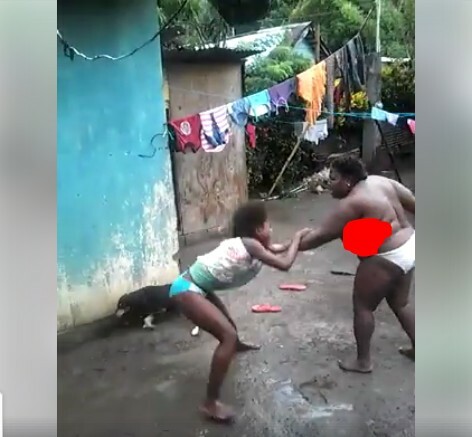 Video of a woman beating a child half naked has gone viral. 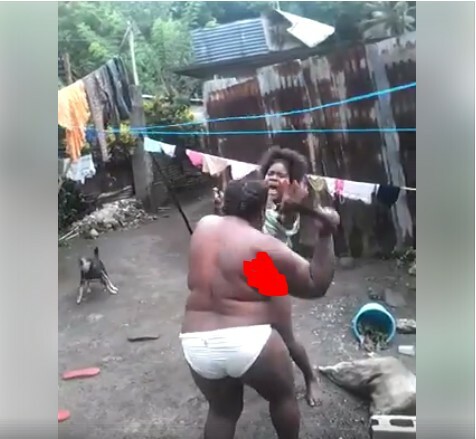 The big-sized woman who appears to be the child's mother was filmed savagely beating the girl with a cutlass after a disagreement. The incident reportedly happened in Jamaica. 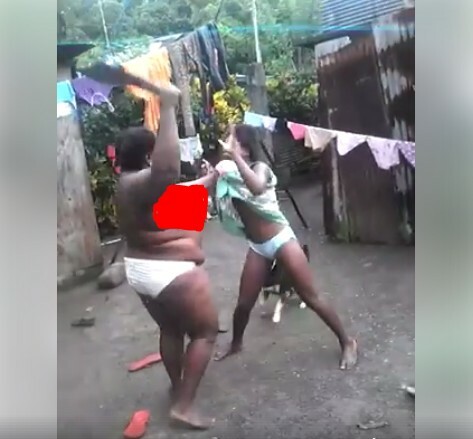 In a video which appeared online over the weekend, the plus-sized woman, clad only in her underwear is seen flogging a girl. The machete-wielding woman held on to the girls' clothes while battering her repeatedly. The beatings got so bad, a dog who got in-between them fled after it felt the wrath of the angry woman. When mi talk to unuh, hear! Mi tired a unuh," the woman could be heard saying as she landed her blows after blows. The teenage girl fell to the muddy ground and finally wriggled free from the abusive mother. She has since been arrested and taken into custody.